Hi there! 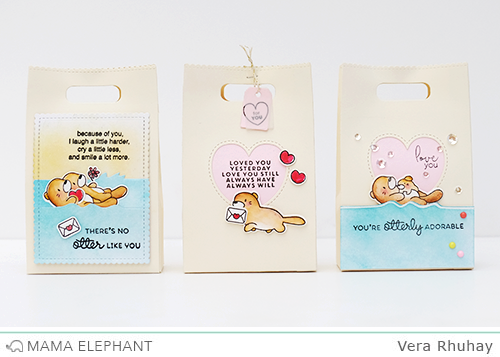 It's Vera here and today I have a fun project to share featuring the Favor Bag - XL Creative Cuts. 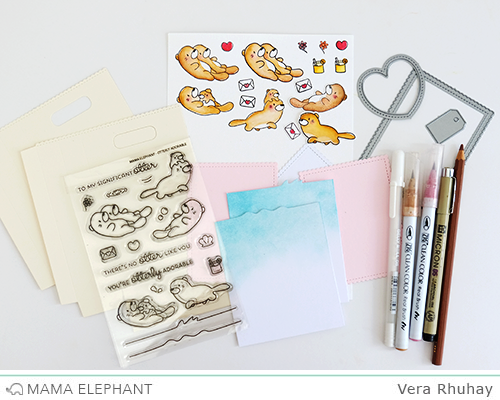 irst, I stamped all images on watercolor paper and colored with Zig Clean Color Real brush pens. I only used two colors of Zig CC Beige and Pale Rose for coloring the otters. And used white gel pen and pencil color for finishing touch. The sentiment are from Mini Messages, Xoxo and Hello Friend Wishes. 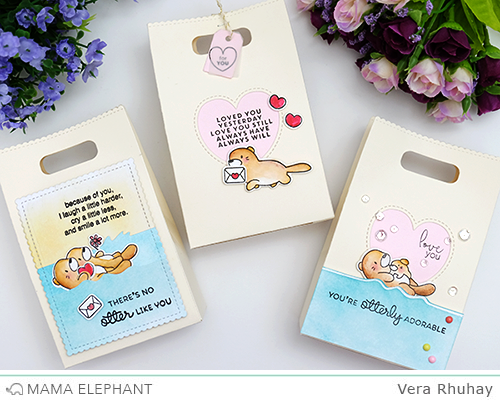 Oh my goodness Vera, these are fun AND adorable!